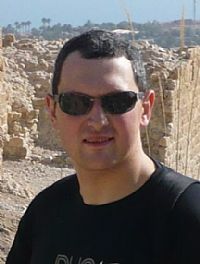 Participated in the Technion Excellence Program: October 2002 – March 2005. His majors in his first degree were: Image and Signal Processing, Intelligent and Learning Systems. Mark started to study a topic for his future research during his last year of the first degree. He included advanced courses in his curriculum, without taking preliminary courses needed for them, and started research in the last year of undergraduate studies, about Watermarking in videos: adding hidden information in videos for various purposes like source verification, author rights protection and so on. Today (2011): Mark is currently working in the field of mathematical research. He is also working with Dr. Opher Donchin from BGU and Dr. Maarten Frens from Rotterdam University on building a model of compensatory occular reflexes in view of doing his Ph.D in brain research in near feature. Recommendation to Program participants: "Don't lose momentum, and start working on research as early as possible, but have a rest in the summer to recharge batteries."